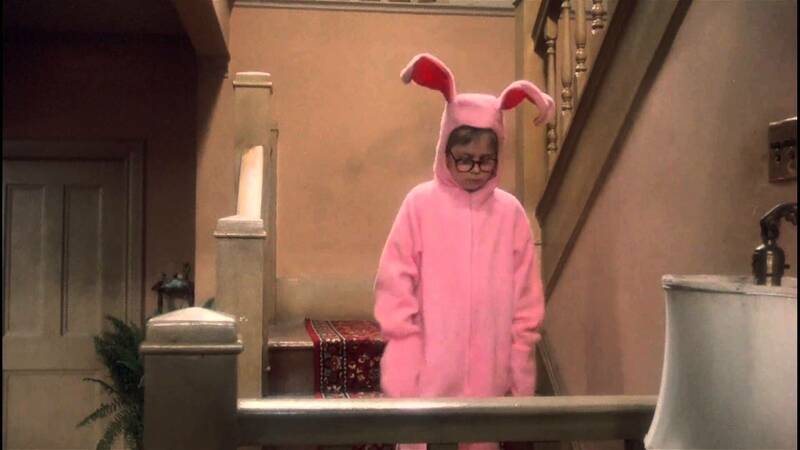 If you’ve always dreamed of walking in the pink-bunny-suit clad footsteps of Ralphie from A Christmas Story, now is your chance — well, rather, tomorrow is that’s when bidding opens for the opportunity to stay for a weekend at the Cleveland home featured in the 1983 movie. Starting Dec. 1 at 5:30 p.m. EST, fans of the movie can place their bids for the opportunity to stay at the house for two days and two nights with three guests, an experience that’s only available for one winner every year. It’s a “VIP experience,” with $800 of themed gifts up for grabs, including a Major Award Leg Lamp, tickets to Great Lakes Science Center, some kind of BB gun involvement (careful, lest you shoot your eye out), decoder pins, “and much more,” says the A Christmas Story House Foundation on the auction’s website. All proceeds from the auction will go toward maintaining and restoring the historic neighborhood around the landmark house. The foundation provides grants to qualified residents for home restoration projects. Want To Spruce Up Your Rec Room With A Delta Flight Simulator? Now’s Your Chance!